The Bureau of Economic Analysis (BEA) has developed its first statistics showing how outdoor pursuits like snowboarding, biking and boating ripple through the U.S. economy. Outdoor recreation and the economic activities that support it – for example, a factory making fishing lures, a family traveling to hike in a national park, or a ski instructor giving lessons – are already woven invisibly into BEA’s broad national statistics, such as GDP. The new account pulls these threads of data together in one place, with expanded detail, creating a picture of the outdoor recreation economy that would otherwise remain hidden within BEA’s existing statistics. 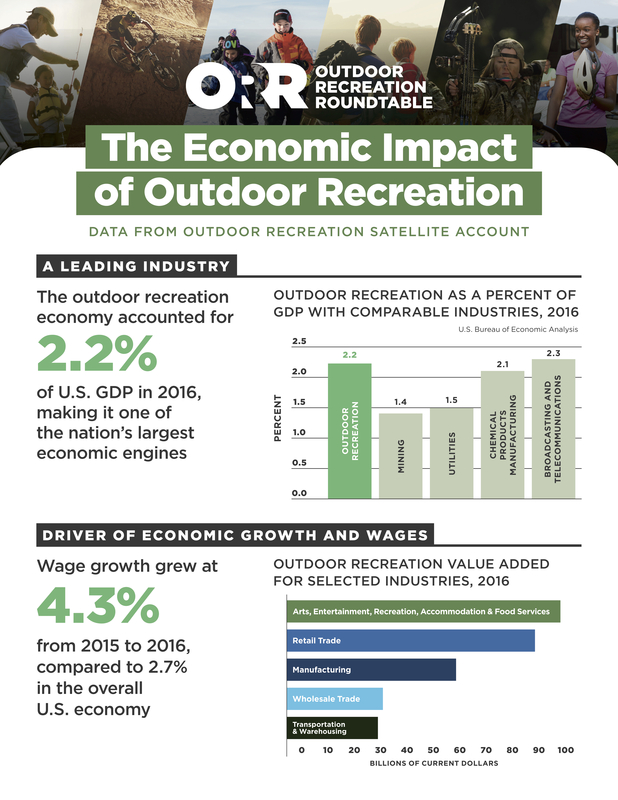 The Outdoor Recreation Satellite Account (ORSA) measures the economic activity as well as the sales or receipts generated by outdoor recreational activities, such as fishing and RVing. These statistics also measure each industry’s production of outdoor goods and services and its contribution to U.S. GDP. Industry breakdowns of outdoor employment and compensation are also included. Click here to learn more about BEA special accounts. HOW DID ORSA COME ABOUT? 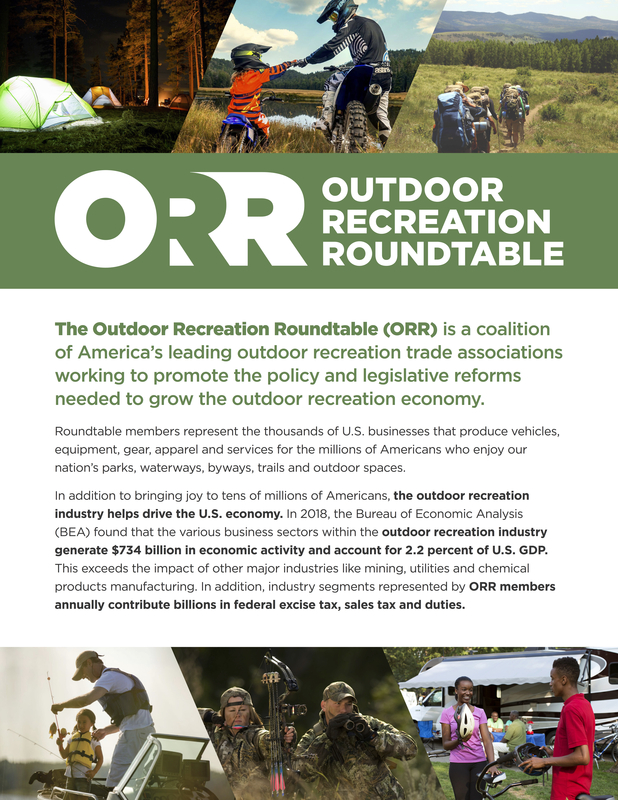 ORSA is the result of the “Outdoor Recreation Jobs and Economic Impact Act of 2016.” Originally sponsored by Senators Cory Gardner (R-CO) and Jeanne Shaheen (D-NH), the act directed the U.S. Department of Commerce to “enter into a joint memorandum with the Department of Agriculture and the Department of the Interior to conduct, acting through the Bureau of Economic Analysis, to assess and analyze the outdoor recreation economy of the United States and the effects attributable to it on the overall U.S. economy.” ORSA was primarily funded by the Departments of the Interior, Agriculture and Commerce. Learn more about the Outdoor Recreation Jobs and Economic Impact Act here. JUST HOW BIG IS OUTDOOR RECREATION?